Colerne Village Hall was built in 1955 by a volunteer workforce within the Village. Extended in 1977 and again in 2001 it is now a major village facility. 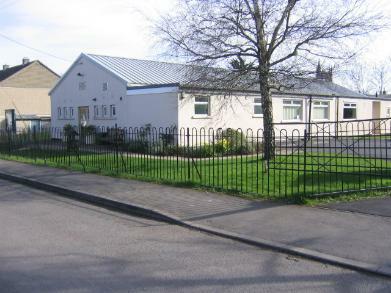 The Hall is situated near the end of the Village and has its own Car Park and internal facilities. The village of Colerne is nine miles west of Chippenham and 7 miles east of Bath, right on the border of North Wiltshire. The Hall consists of a foyer and a Main Hall, two meeting rooms, kitchen plus function room, plus toilet facilites. The Hall has disabled access and seperate disabled toilet facilites. The Hall has a full alcohol licence. The Main Hall: consists of foyer, with toilet facilities off, including a toilet for the disabled. This Hall can seat 150 people for a show or 130 for a meal. There is a permanent fixed stage, with stage curtains and lighting box, plus a lighting bar in the main hall itself. There is a Serving Hatch into the kitchen, plus double doors into the function room. The Main Hall is independently heated by gas heaters and has three types of lighting available; strip, spot and uplighters all controlled from within the Hall can be used to light any function. 20 brown square tables are available and 150 chairs plus larger tables on request. The Function Room: Can only be used when the Main Hall is hired, normally large parties use this facility to site a temporary bar or serve food.